I have always dreamed of never having to pick up a razor again as shaving was more than just a nuisance. With sensitive skin, I constantly suffered from redness and irritation. During the summer months, this was exacerbated by our excessive heat and dryness, and I often found myself covering up those areas I had shaved. Over the past few months, I began laser hair removal with CosmetiCare. It has bee nearly 2 months post laser hair removal and I have barely picked up a razor! In my twenties, I dreamed of never having to pick up a razor again. As vain as it might seem, shaving was more than just a nuisance. With sensitive skin, I constantly suffered from redness and irritation. During the summer months, this was exacerbated by our excessive heat and dryness, and I often found myself covering up those areas I had shaved. I began laser hair removal during that time, but was admittedly impatient, wanting to see immediate results. I eventually put treatments on hold, and in the past few months began laser hair removal again with CosmetiCare. Nearly 2 months post laser hair removal, and I have barely picked up a razor! Now that you know what to expect during Laser Hair Removal, here are 7 Reasons to Choose Laser Hair Removal. 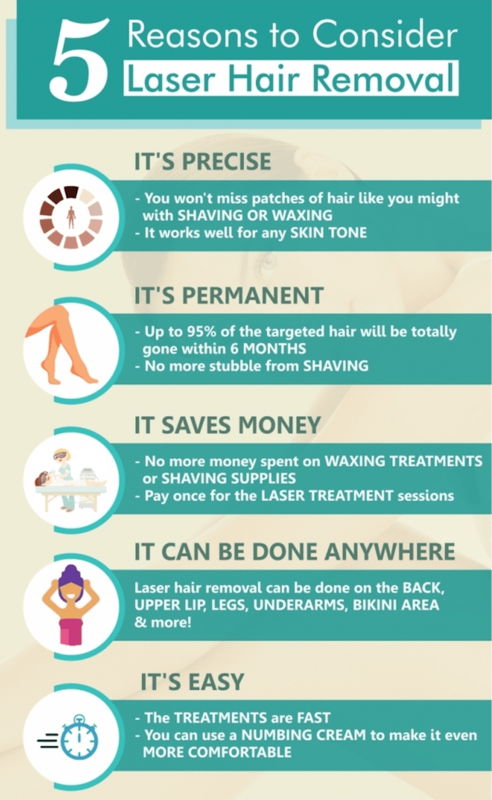 Having had some previous experience with laser hair removal, I knew that the benefits far outweigh any disadvantages. Prior to receiving treatments at CosmetiCare, I had areas of my body (specifically my legs) where hair regrowth was minimal, proving that the treatment is effective and lasting. 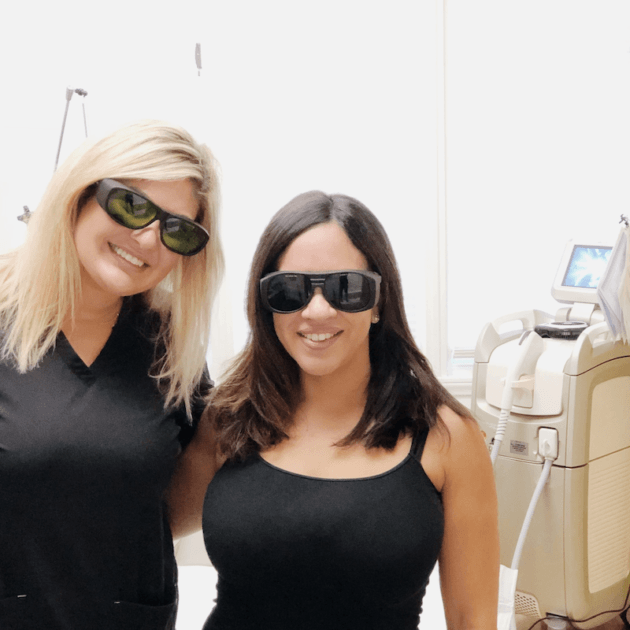 Before seeking laser hair removal treatments, I recommend consulting with a licensed professional, experienced in the use of lasers, like Tannaz at CosmetiCare. She can determine whether you are a candidate for laser hair removal and put together a plan that works for you. The technology behind Laser Hair Removal has advanced, and as such, treatments are less painful and more effective. CosmetiCare uses Alma Lasers, which are able to treat a wide range of patients and hair types quickly and comfortably, to achieve the best results. Treatments involve little to no discomfort. The best way to describe the discomfort associated with laser hair removal is that it feels like the snap of a rubber band. I have had the treatment on my face, under my arms, on my legs, and on my bikini line, and the discomfort has been minimal. The most discomfort I felt was along the bikini line, which is naturally more sensitive. The treatments are effective. The laser is capable of targeting the hair at the follicle, which works to reduce and impeded hair growth. It is important to understand that hair reduction takes time, and while results can be seen in as few as 3 sessions, overall reduction is typically 80%. It is possible to require follow-up treatments, however, hair growth is typically slower, thinner, and less noticeable. Side effects are minimal. 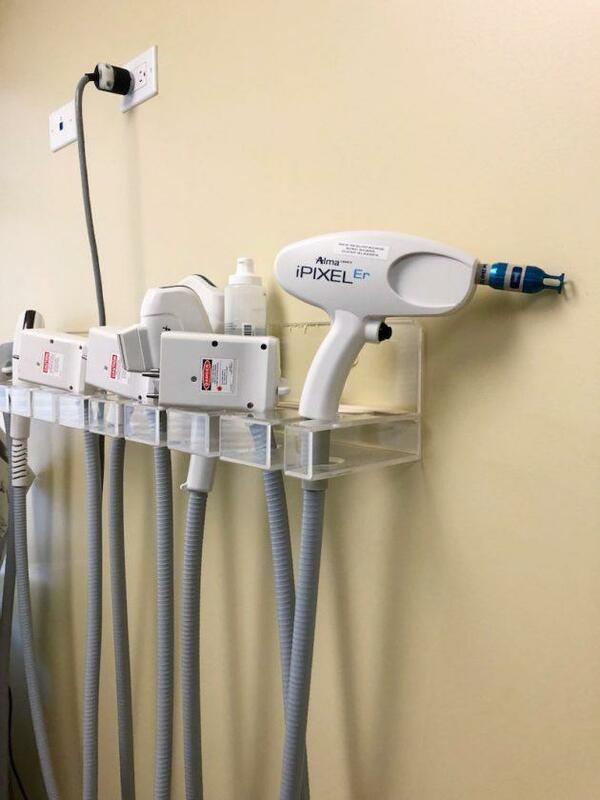 Common side effects after laser hair removal include redness, swelling, itching or tingling, all of which subside within a few minutes to a few hours. I cannot stress the importance of selecting an experienced provider to avoid blistering and/or scarring from over-treating an area, or treating an area using an incorrect laser setting. The cost is lower overall, than shaving, waxing, or other methods of hair removal. The upfront cost of laser hair removal can seem daunting. But consider the long term savings involved with not having to purchase wax treatments (including those in a salon), depilatory creams, razors, or other methods of hair removal. Skin irritation from shaving is greatly improved. It was not uncommon for me to experience razor burn when I shaved, particularly under my arms and on my bikini line. Laser hair removal has all but eliminated that irritation. I have also noticed that the skin is smoother and the pigment lighter (which is ideal since the area under my arms was darkened due to the hair). If you experience ingrown hairs, they are often improved with laser hair removal. Individual treatments can typically be completed in a short amount of time. Most of my laser hair removal sessions have been completed in less than 30 minutes. Large areas, such as the legs, can take longer, up to 45 minutes. You will save time, long-term, by not having to shave, wax, or use other methods of hair removal. The number of times I’ve shaved since I started laser hair removal has been very minimal, typically as I am nearing a scheduled treatment. Over time, hair reduction is such that it often does not require shaving or other methods of removal. 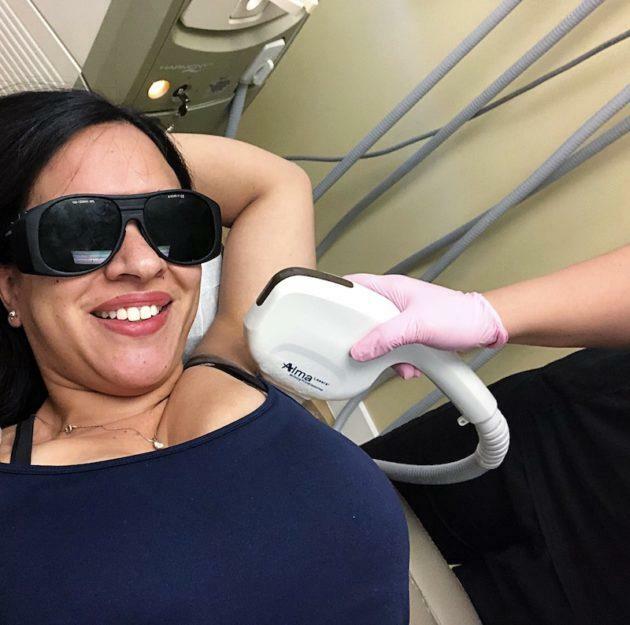 During one of my sessions with Tannaz, we talked about at-home laser hair removal. While there are a number of devices currently available on the market, there are risks involved with attempting to complete this procedure without supervision from a professional. In addition to burns, scarring, and hyperpigmentation, there is a risk of treating an area at a level that actually stimulates hair growth (in effect doing the opposite of what the laser was intended to do). Additionally, there is a risk of eye injury if the at-home laser is used on the face without protective eyewear. Overall, the risk of treating an area not otherwise suitable for laser hair removal is enough to warrant seeking treatment from an experienced professional. If you are interested in laser hair removal, you can save 10% at CosmetiCare by using the code Caryn100. You can also receive a free consultation at CosmetiCare by visiting their website.